Tired of your platters, muffin pans and cooking sheets being hard to find or falling over? Slide out pan organizers help hold your cooling sheets neatly separated by vertical dividers. You quarter inch dividers can be adjusted every 1/2". These sliding dinner plate organizers hold up to 16 dinner plates or can also be used for storage tops and hold pan lids because of its adjustable dividers. Our sliding pegboard system has endless amounts of changeability option and can be used to create storage for organizing anything from plastic containers to dinner plates. 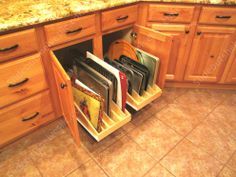 It can be trimmed to size and available to fit 3 different sizes of kitchen cabinet drawers. This is a smaller version of the drawer peg organizer and can also be used for many organization purposes. This is a smallest version of the drawer peg organizer and can also be used for many organization purposes. The sliding knife block organizer is ready to use out of the box. The dimensions are 18 1/2" x 22" and provides 19 different slots to store your knifes and has an entirely separate compartment for other types of utensils. The knife block organizer provides more storage space and clears up your counter top to increase usable space. 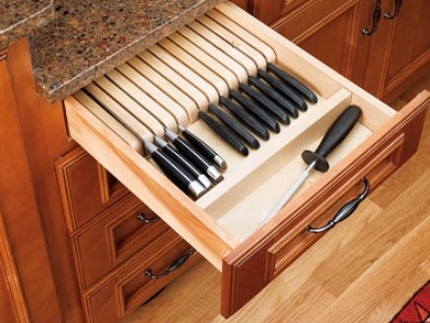 It can also be trimmed down to fit almost any kitchen drawer. 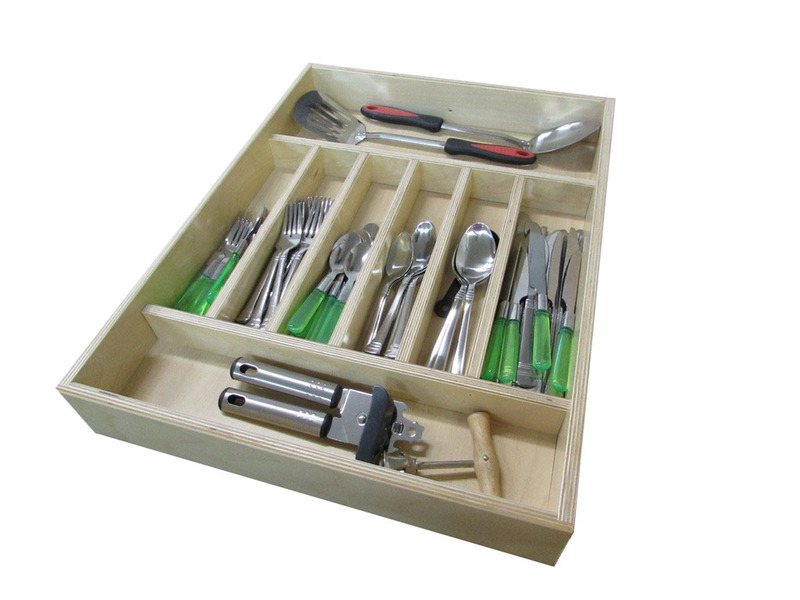 Our cutlery organizers are available from 15" to 22" depths and 9" to 22" wide. You select your size at before you add the organizer to your cart. 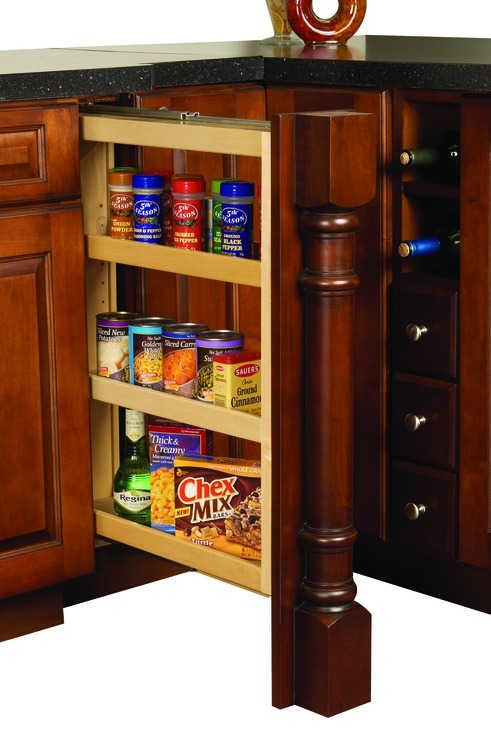 Sliding spice racks allow you to customize your spice racks location to your liking. It's shelves are adjustable and come with an open top for more space. It features ball bearing slides and soft close options. It's able to hold up to 100lbs and has 8 door mounting brackets so you can adjust with precision. Our pull out bin organizers can hold foil boxes and flat cooking sheet all in one drawer. The divider slots are 7 3/8 tall and have divider slots spaced out every 3 inches. Dividers can be removed to make room for enlarge the bin are. 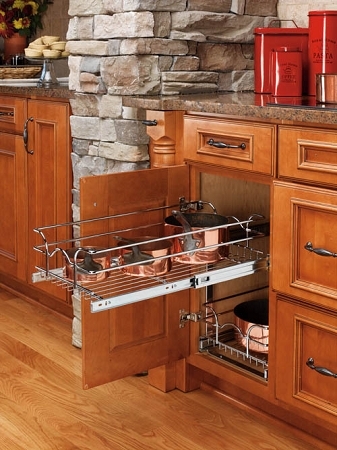 Our sliding chrome wire pull out baskets are perfect for organizing your pans, pots, and other big items. It features full extension ball bearing slides for ease of access. Easy To Install! 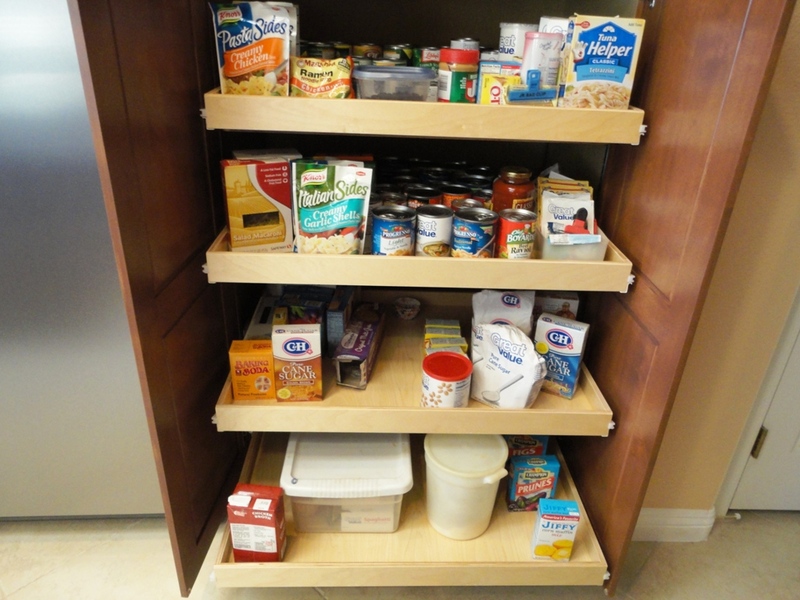 Our sliding pantry pull outs are one of our most popular items and can be used to make access easier to your pantry. 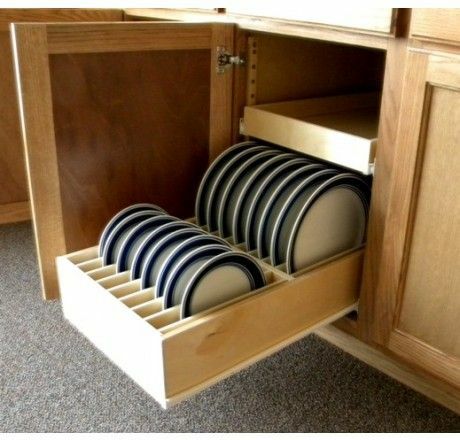 There are 4 sizing options available and are made to fit any kitchen pantry.